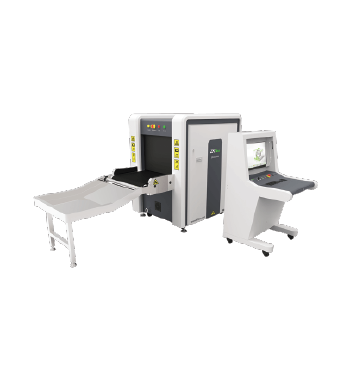 ZKX6550A is a single energy X-ray screening system that provides a highly economical visual inspection solution for carry-on luggage. It uses reliable high-quality X-ray generator. With the superb image algorithm, ZKX6550A could offer clear scanning image, which allows operators to identify potential threat items visually. ZKX6550A has innovative biometric identify function for operators, improving the security of system and preventing the operator from forgetting password. With ergonomic modern design, ZKX6550A could help operators to identify suspicious items fast and accurately. High density alert, Explosive/ Drug auxiliary detect, TIP, Luggage counter, date/time display, User management, Training.